Knowledge about stone specifics, characteristics, traits and subtle differences can be invaluable in finding the right product that meets the needs of your lifestyle. Okanagan Tile Company is here to help you in your quest – with our wide range of materials, styles, textures, sizes and colours, plus coordinating trims and decorative tiles, you have every choice at your fingertips. 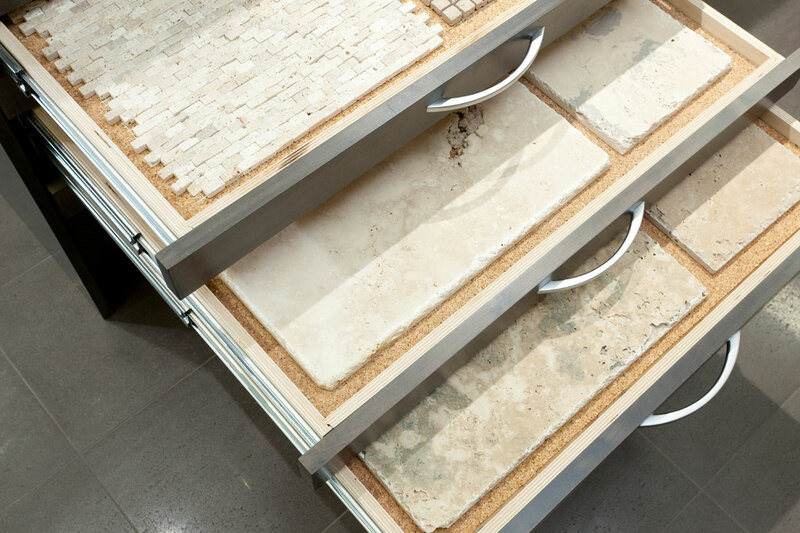 Our pull-out tile drawer units, and beautiful wall displays, are filled with travertine, marble, granite, slate, limestone, and more. From full size tiles to accent pieces and trims, you will be able to find everything you need. Non-vitreous: The highest absorption level - not to be used in any moist environments. Semi-vitreous: Less absorbent, but the more moisture they are exposed to the more care and maintenance is required. Vitreous: The standard absorption level for flooring. Used in low to mid traffic areas, both indoor and out. Impervious: Resistant to the absorption of liquid; easily maintained. 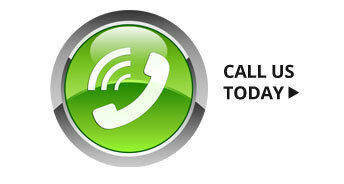 Used in high traffic and commercial applications. 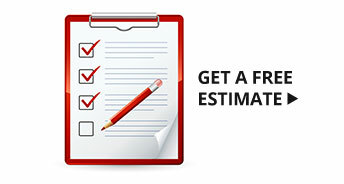 Grading rates the quality of the material, referencing size, shape, thickness and surface condition. Grade 1: Uniform, highest quality. Grade 2: Minor defects - scratches, irregularity in surface texture, nicks and chips. Grace 3: Major defects – differences in size, shape, surface texture and amount of chipping. Natural Stone enhances any project – durable, eco-friendly and readily available – it is a wonderful choice for your home or business. With every hue available in nature, stone products allow you the creativity to incorporate them into every décor scheme – from modern, to rustic, to classic. 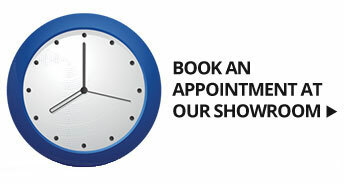 Bring your ideas and plans to our showroom and our knowledgeable sales team will be happy to assist you, or call us for a free in-home estimate.